5 Apr. 2006 - Present Director WAVE Entertainment Pcl. 7 Oct. 2013 - Present Chairman WAVE Entertainment Pcl. 7 Oct. 2013 - Present Chief Executive Officer WAVE Entertainment Pcl. 7 Oct. 2013 - Present Authorized Director WAVE Entertainment Pcl. Present Director BEC World Pcl. 2013 – March 2017 Director and Authorized Director Thai Solar Energy Pcl. Present Independent Director Ocean Glass Pcl. 2017 - Present Independent Director BBGI Co., Ltd.
30 Apr. 2015 - Present Independent Director WAVE Entertainment Pcl. 30 Apr. 2015 - Present Chairman of Audit Committee WAVE Entertainment Pcl. 2011 - Present Member of Audit Committee Pace Development Corporation Pcl. 2006 - Present Chairman of Audit Committee Fancy Wood Industries Pcl. 2004 - Present Chairman of Audit Committee Boutique Newcity Pcl. 2009 - Present Director Plus Advisory Co., Ltd.
2007 - Present Director Advance Energy Plus Co., Ltd.
2004 - Present Director Kindreak Co., Ltd.
May 2015 - Present Director Advisory Plus Co., Ltd.
2004 - Present Director Robinson planer Co., Ltd.
2004 - May 2015	President	Advisory Plus Co., Ltd. Diploma Degree Major in Marketing Armstrong College AA Berkley , California USA. 7 Sep. 1999 - Present Independent Director WAVE Entertainment Pcl. 7 Sep. 1999 - Present Member of Audit Committee WAVE Entertainment Pcl. 2 Dec. 2015 - Present Member of Corporate Governance Committee WAVE Entertainment Pcl. 6 Jun. 2011 - Present Independent Director WAVE Entertainment Pcl. 6 Jun. 2011 - Present Member of Audit Committee WAVE Entertainment Pcl. 6 Jun. 2011 - Present Member of the Nomination and Remuneration Committee WAVE Entertainment Pcl. 3 Dec. 2014 - Present Independent Director WAVE Entertainment Pcl. 3 Dec. 2014 - Present Member of Risk Management Committee WAVE Entertainment Pcl. 26 Feb. 2015 - Present Independent Director WAVE Entertainment Pcl. 1 Mar. 2018 - Present Chairman of the Nomination and Remuneration Committee WAVE Entertainment Pcl. 2 Dec. 2015 - Present Chairman of Corporate Governance Committee WAVE Entertainment Pcl. 2007 - Present Independent Director and Member of Audit Committee Ocean Glass Pcl. 1 Jul 2015 – Present Authorized Director Index Creative Village Plc. 1997 - Present President TBWA (Thailand) Co., Ltd.
1991 - Present President PATOU (1969) Co., Ltd.
1991 - Present President PATUKAR Co., Ltd.
3 Dec. 2014 - Present Chairman of Risk Management Committee WAVE Entertainment Pcl. 5 Apr. 2006 - Present Authorized Director WAVE Entertainment Pcl. 2014 - Present Chairman Thai Solar Energy Pcl. 2014 - Present Chairman of Executive Committee Thai Solar Energy Pcl. 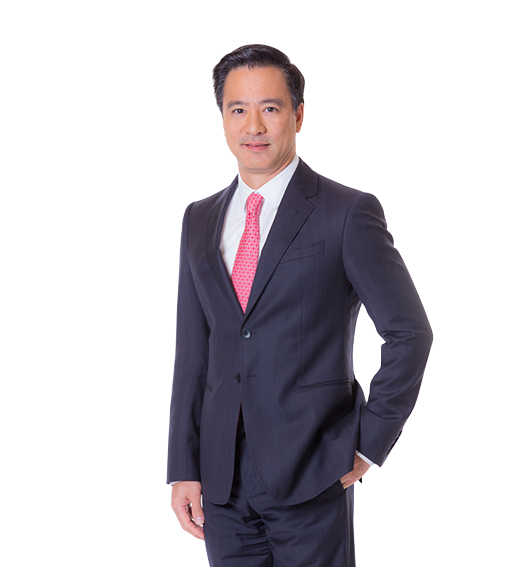 2014 - Present Chief Executive Officer Thai Solar Energy Pcl. 2014 - Present Member of the Nomination and Remuneration Committee Thai Solar Energy Pcl. 2014 - Present Authorized Director Thai Solar Energy Pcl. 1999 - Present Assistant to the Senior Executive Vice President BEC World Pcl. Present Authorized Director BEC-TERO Entertainment Pcl. Present Authorized Director YOU & I Corporation Co., Ltd. Present Authorized Director TVB 3 Network Co., Ltd. Present Director BEC-Multimedia Co., Ltd.
13 May. 2011 - Present Director WAVE Entertainment Pcl. 2013 - Present Authorized Director WAVE Entertainment Pcl. 2013 - Present Executive Vice President - TV WAVE Entertainment Pcl. 2014 - Present Vice President The Bangkok Entertainment Co., Ltd.
2003 - Present Strategic Planning Manager The Bangkok Entertainment Co., Ltd.
11 Dec. 2013 - Present Director WAVE Entertainment Pcl. 3 Dec. 2014 - Present Member of the Nomination and Remuneration Committee WAVE Entertainment Pcl. 3 Dec. 2014 - Present Authorized Director WAVE Entertainment Pcl. 2013 - 16 May 2016 Executive Director Thai Solar Energy Pcl. 2013 - 16 May 2016 Chief Financial Officer Thai Solar Energy Pcl. 2013 - 16 May 2016 Company Secretary Thai Solar Energy Pcl. 15 Mar. 2017 - Present Deputy Chief Financial Officer Advanced Info Service Pcl. 2007 - 2013 Chief Financial Officer Inter Bevreage Holding Thai Beverage Pcl. 30 Apr. 2014 - Present Authorized Director Efficient English Services Ltd.
5 Apr. 2006 – Present Director WAVE Entertainment Pcl.